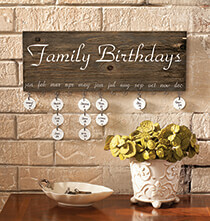 Never run out of dates to celebrate with these additional tags for our Dates to Remember Wall Hanging. 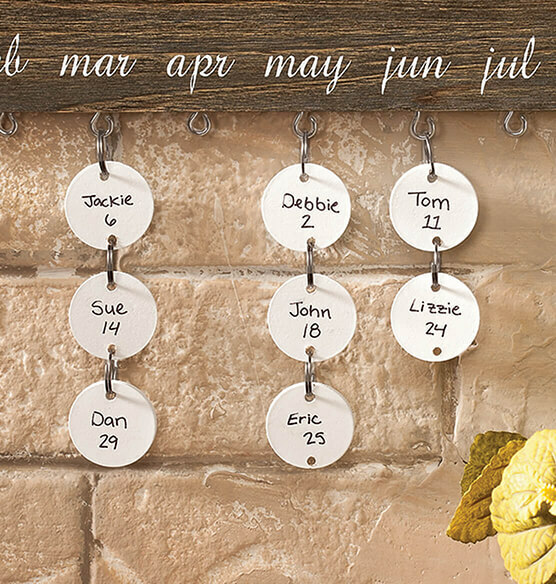 Simply write a name or special event on the white wooden discs, then hang them on the hook below the corresponding month. Set of 24. Wall hanging sold separately. I recommend it to my family & friends. This is an ideal way to keep up with everybody's birthday!